Download Apple Devices Mockup Free PSD. 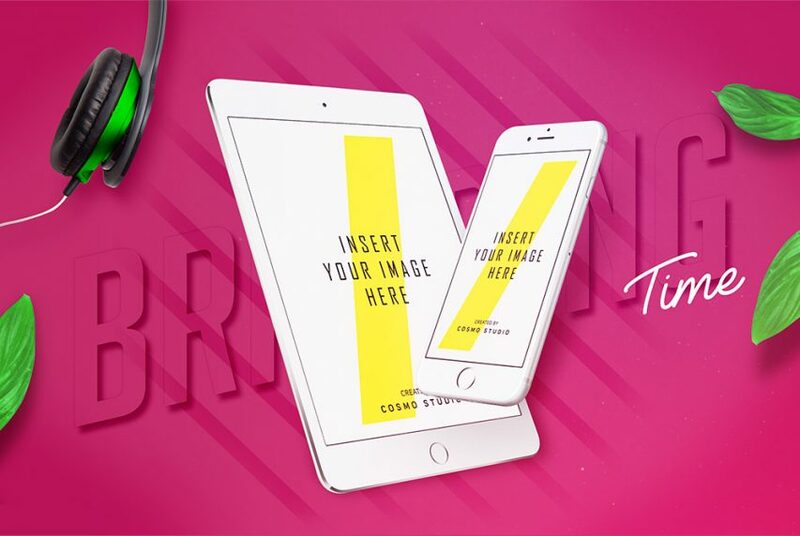 This is a Apple device iPhone and iPad Mockup for you to use for free to showcase your upcoming design projects. The mockup has an iPad and iPhone facing each other floating in the air and has a really cool and creative background. You can customise and modify this free psd mockup easily. You can also delete elements which you don’t need according to your choice. This Apple Devices Mockup Free PSD will enhance your mobile UI or website presentations. Hope you like it. Enjoy!